425 sq. in. of cooking area. 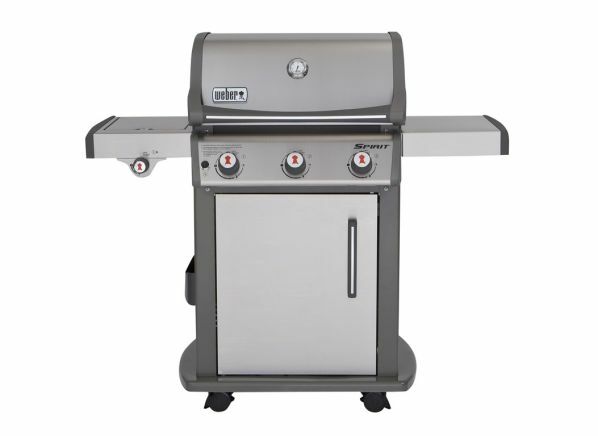 The Weber Spirit SP-320 46700401 is part of the Grill test program at Consumer Reports. In our lab tests, Grill models like the Spirit SP-320 46700401 are rated on multiple criteria, such as those listed below. Preheat performance: Evaluates the temperature after a 10 minute preheat using thermocouples. It also gives an indication how quickly the grill reaches its maximum temperature. Temperature range: Reflects how wide a temperature span the grill offers by comparing temperatures at the high setting and lowest setting possible.